Keeping your Magento ® storefront secure requires a bit of attention on your part. Fortunately, once many of these concepts are set up you will not need to revisit the tasks again if done correctly. Not only will this keep you from Magento security issue concerns, but your client’s data will remain protected as a result ensuring everyone's peace of mind in the process. This report is divided into 4 critically important sections for ease of referencing in the process. This part looks at various issues involved with why you should upgrade your site. Everything from making sure to check Magento ® patches as the update becomes available to back up your Magento ® open source platform will be covered. You will find this section to be the most robust of the entire project and for good reason. How you establish access to your Magento ® store can mean the difference between keeping hackers out and opening the door wide for their intrusions. Here we will look at various issues related to working with the files of your storefront and how to keep everything in line with new security concerns as they arise. In this final section, we provide timely advice on exactly what needs to be done to stay ahead of the curve when it comes to protecting you, your storefront and your clients secure data from the hand of thieves. MYTH: Backups are unnecessary, this is the web. We put this security concept at the top because of how important it is throughout your entire storefront. Not only will you be able to easily bring your store back to a time before the attack but if someone makes an error on your site and then saves restoring can become a hassle without backups. Check with your hosting provider as to what they “do” and “do not” do as it relates to backups. Then make sure you have the best plan possible for your backup strategy. MYTH: Immediately updating when new releases become available causes unnecessary headaches. In the early days of technology this might have been true but in today’s age, you are operating on the side of caution by taking advantage of new releases as quickly as possible. This is even more so the case as it relates to quickly updating your storefront with major patches as they are released. 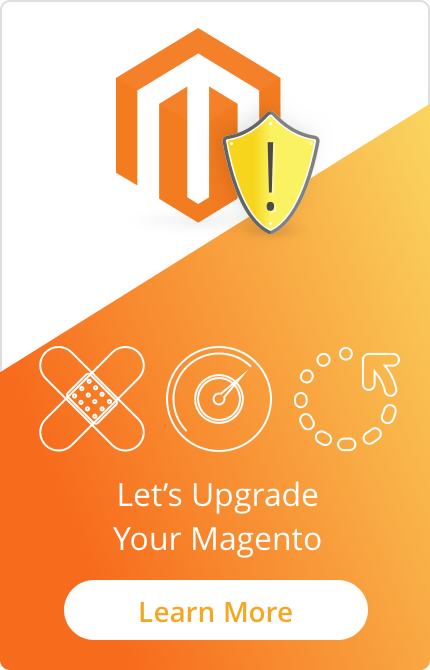 While one may think that simply installing Magento ® updates will solve their problem, the disadvantage is that your Magento ® store will quickly become outdated with this approach. That is why it is much better to update to the latest version of Magento ® in the process of securing your store. MYTH: Upon updating to the latest full Magento ® releases no further security patch updates are required. Yes, if you keep up-to-date with the new full releases you will receive all new patches without additional patch scan implementations being required. However, making sure to install new patches as they are released is still highly recommended. Full release Magento upgrades don't happen every day but rather when enough new updates have been released to warrant such an event. In between these events separate patches can be released. Waiting for the full release instead of taking care of them as they become known keeps your system configuration and its corresponding security up-to-date at all times. MYTH: Hackers won’t attempt to break into your site until your store becomes successful. While it may be true that successful stores need to take passwords even more seriously, the sad fact is that Hackers don’t care whose world they bring trouble into. In fact, a case could be made for maliciousness being easier to inflict on newer eCommerce owners and as such, the fact that you are just getting going could make you even more vulnerable. That said, here are 5 ways to make sure that your passwords remain safe from trouble. Use upper and lower-case letters. MYTH: There is no harm in increasing access convenience by duplicating passwords. Should someone hack into one of your accounts your entire Magento security framework is compromised if you have used the same password throughout. This is where password aggregators like LastPass are handy. HOT TIP: Leaving yourself logged into your password aggregator from your computing device opens your entire framework to vulnerability should your computing device fall into the hands of an unscrupulous predator. Not only should you have a different password setup for every platform but resist the urge to share your access details with others unless necessary (i.e. associates needing to work in your account). MYTH: A strong password is all that is necessary to prevent Hackers from accessing your storefront. Unfortunately, there are sophisticated tools that are created with the specific intent of breaking secure passwords. Two-factor access goes beyond the password authentication into requiring a second way of authentication such as sending a code to a corresponding cell phone for access. The obvious disadvantage is found in reduced convenience in accessing the backend of your Magento ® store. However, that pales in comparison to the corresponding advantage of ensuring increased security from potential threats. MYTH: There is no trouble in using my standard inbox eMail with my storefront. What if an unscrupulous person breaks through your standard eMail security check with a password decoder? If you use the same email for your storefront these thieves are one step closer to hacking into your store through your compromised eMail vulnerability. That’s why it is a mark of wisdom on your part to keep your Magento ® eMail separate and distinct from that of your normal eMail access to eliminate eMail security issue concerns. MYTH: Two-factor authentication will keep the bad guys out of your Magento ® store. Setting up such an arrangement certainly can help but the more steps you take to make sure that your store remains secure the better off you will be. Given that this is a simple one-time update it is highly recommended to increase your own storefront security. HOT TIP: While blocking or changing access points be sure to do the same with your ‘/downloader/’ directory to further decrease your vulnerability to associated attacks. It can be and should be. Allowing only designated IP’s into admin access further ensures safety and security within your Magento ® store. Sure, it may be inconvenient when new devices are used by real admins, but it will also further enhance the protection of your entire site by doing so. MYTH: Your password is all that matters for security purposes. By default, all Magento ® stores are set up with a user access for “admin”. Keeping this user ID active gives the bad guys a step ahead in breaking into your account. Therefore, it is highly recommended that this user access point simply is deleted while others are established. MYTH: Unused accounts cannot be accessed. All companies go through an associate flux. As people leave your organization so should their access ID’s. Leaving these in place opens potential vulnerabilities which could even be from disgruntled workers who would be more than pleased to create trouble simply out of spite. MYTH: Hackers cannot gain access when I upload files. In fact, this is one of the most common ways that breaches can take place. This is especially true if you opt into unsecured FTP alternatives. That’s why we recommend using SFTP with all your uploads. HOT TIP: To further prevent crooks from gaining access to your Magento ® store we all recommend disabling directory indexing. The less information the crooks can work with the greater the chance that your eCommerce story will be one of success for a long time. MYTH: All websites are safe. Google disagrees with this so much that it now favors in organic results those sites which have taken time to update to a secure HTTPS platform. Further, your customers have a stronger sense of security in sharing their data when secure platforms are utilized. Therefore, updating to a framework that keeps your buyers and Google simultaneously happy with what you are doing will lead to your own increased pleasure in the form of ROI results. MYTH: Magento ® takes care of all MySQL injection issues. While Magento ® does have protocols in place to protect against such intrusions, increasing your storefront safety by your own firewall implementations is highly advisable. Imagine dealing with purchases from clients that you never see or experience faulty account balances. This is just a sampling of the trouble that MySQL injections can cause. Not only will it lead to customer confusion but also out-right theft if not held in check correctly. That’s why establishing firewalls to prevent MySQL injections are so critical. 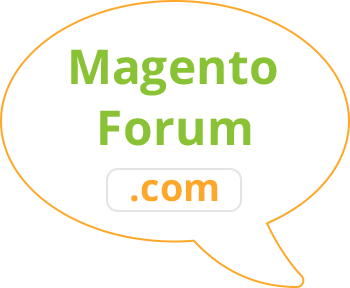 MYTH: No issues exist in merging WP with Magento ®. While integrating the two platforms is possible, doing so opens a host of potential issues that you would be better off avoiding. This can be easily done by establishing a separate domain or sub-domain for your blog as compared to your Magento ® storefront. Should an undesirable gain access to your WordPress blog they would still be locked out of your storefront especially if you altered password details as previously recommended. MYTH: Should I get hacked my payment gateway will be compromised. This is true only if you have not implemented IFrame strategies within your payment processes. However, with IFrame protection in place, customer details remain secure and away from the hands of crooks. MYTH: With the above steps in motion I need no further Magento security check precautions. We certainly hope that is the case. Unfortunately, reality does not always bare the record well. That’s why a regular Magento security scan for malicious malware or code that may have snuck into your Magento ® project is highly advisable. Even if nothing is uncovered because of these updates it is more than worth the peace of mind to know that your storefront is fully protected. HOT TIP: Some recommend doing these scans for security alerts on a quarterly basis, but we recommend establishing a monthly or bi-monthly process on your calendar. If something does take place, you want to know about it sooner than later. From updates to passwords and data to scans, we hope that following these security vulnerability alerts strategies will keep both you and your buyers safe. 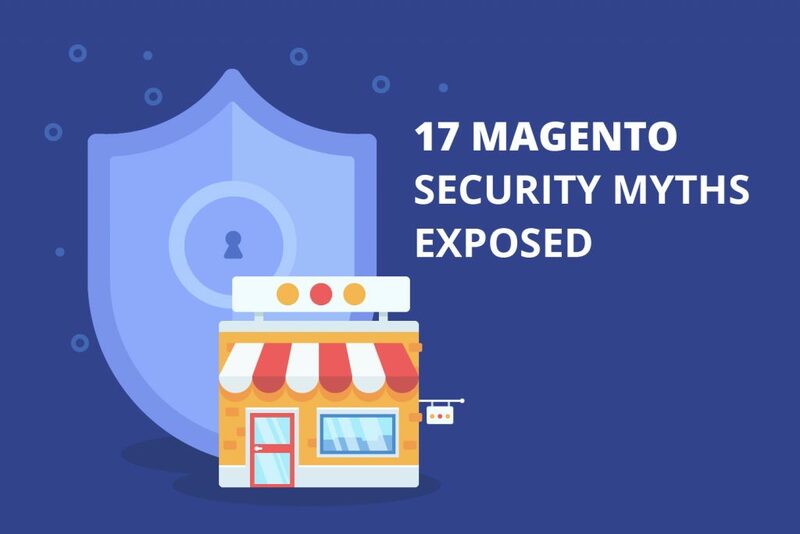 When you consider that you are using confidential client details it is easy to see the importance of security when it comes to your Magento ® storefront solution. Which of the above concepts have you implemented within your own storefront? It’s now your turn. Share your experience with Magento ® security, the good, the bad and the ugly in the comments below.